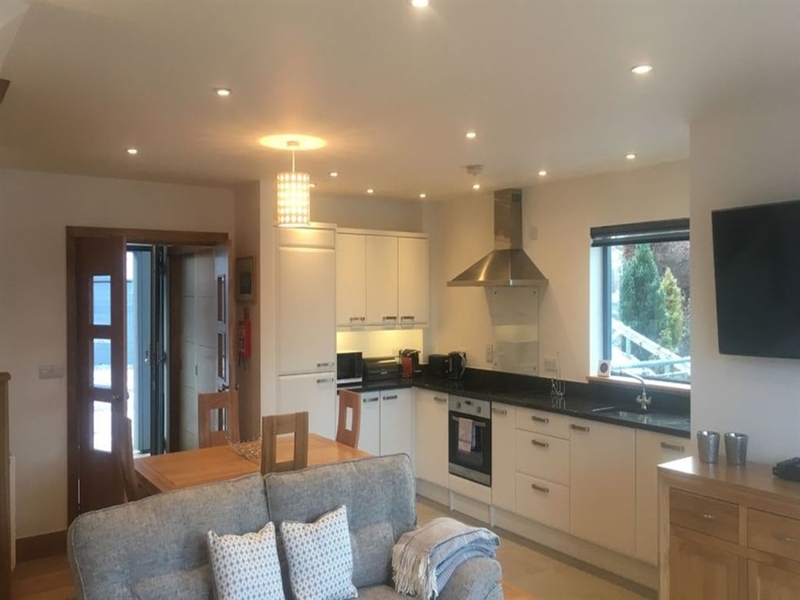 Number 1 Lawers View has superb 270 degree views of Loch Tay and the breath-taking scenery, it is a magnificent two bedroom house set over two floors. No.1 is the perfect space for a short break with friends and family in true luxury accommodation. The facilities at Taymouth cater for all and you may just want to stay at the house taking in the stunning views and landscape. If you do want to get out and about then water sports of all sorts are on the doorstep at the marina together which included a popular cafe and restaurant. There is also an innovative communal Hotbox Sauna with slide into the loch to find out how brave your heart is! Accommodation for 6 on two floors: Ground floor with spacious open plan sitting room/dining area and fully fitted Kitchen, double sofa bed in sitting area; bathroom with shower over bath; utility room; Balcony off sitting room. First floor with 2 Double Bedrooms with en suite showers. Services: Central heating & electricity included * Bed Linen and towels * Dishwasher* Washing machine * Tumble Drier * Fridge/Freezer * TV*DVD* Balcony with Hot Tub* Parking * Bicycle storage * No Pets.